New Year fireworks – a worthwhile expense? Without wanting to come across as a miserable party-pooper, having seen the coverage of the 2014 New Year’s Eve celebrations across the world, I can’t help but wonder if this is really the best way a nation’s money could be spent. The London displays on the Thames lasted 11 minutes and cost approximately £1.8million, a mere drop in the ocean compared to Dubai’s performance, which set a Guinness World Record for the World’s Biggest Pyrotechnics Display, at a cost of 6 million USD. I know it’s only for one night of the year, but following several years of financial crisis and disastrous unemployment, blowing almost 2 million pounds on an 11 minute party seems a fairly extravagant way of throwing money away, as surely that money could have been put to better use? 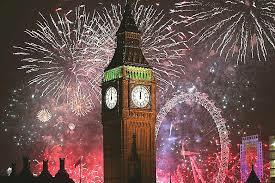 I’m all for public displays and bringing nations and communities together, but I can’t help but wonder how it would be viewed if the Mayor of London decided that next year there will be no fireworks display, and all the money that would have been spent on it will be donated to charities. I can’t decide whether this would be well received or looked upon with scorn, as someone who simply wanted to ruin everyone’s fun. After all, how much difference would it really make to the 50,000 revellers if there were no fireworks to welcome in the new year, just a massive party instead? Would anyone notice? That said, it has been suggested that the general public love fireworks so much that it actually makes financial sense to create a huge display, as it can enormously boost economic activity in the city. Perhaps this is true, who knows what the true economics are behind a NYE celebration? I’d say it’s unlikely that we’ll see Boris Johnson making such a suggestion next year, and no doubt we’ll see an even bigger and more spectacular display. Or perhaps he’ll see this post and make some radical decisions… Watch this space…!